DAILY GUIDE, Ghana’s biggest private newspaper has pledged massive support ahead of the African Women’s Cup of Nations (AWCON). 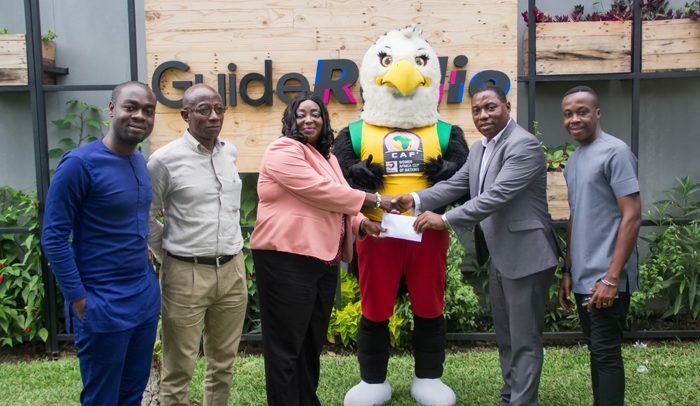 CEO of Western Publications, publishers of DAILY GUIDE, Kwame Blay, promised the AWCON delegation led by Madam Freda Prempeh, Chairperson for the Local Organizing Committee (LOC), his outfit’s support by way of publicity, when the team called at its Nima office yesterday. And to put his words to action, Blay purchased hundreds of the tournament’s ticket for a special amount and promised to give the tournament the needed publicity prior, during and after the prestigious tourney. In the company of the competition’s Mascot (Agrohemaa) which literally means ‘Queen of the Game’, Madam Freda Prempeh pointed out that all is set to make the tournament an epoch-making one. “It is the first time Ghana is hosting the rest of Africa (Women), so let’s support them, let’s fill the stands to make the event successful. We have rolled out some friendlies to put our house in order ahead of the competition,” she announced. The 11th AWCON is scheduled to start from November 17 and end on December 1. The games will be played in Accra and Cape Coast. Ghana, being represented by the Black Queens is housed in Group A with Algeria, Cameroun and Mali, while Nigeria, Kenya, South Africa and Zambia make up Group B. In all, 16 games would be played. The tournament also serves as a qualifier for the 2019 FIFA Women’s World Cup finals in France.